Now is not a good time to stop paddling. We need all the hashpower we can get. I'm mostly watching BSV and BCH, but the amount of momentum and supremacy that BTC-believers feel they have is mind-numbing, at least in the Twittersphere. I wonder what kinds of hashpower shifts we will see (or not) in 2019. Let's be honest: all Bitcoin forks of note are controlled at this time, on the level of development and/or their userbase, by either malicious, benevolent, ignorant, or a combination of these kinds of actors. I thought that the goal is to have a system that functions beyond the control of any one entity (or few entities). What a mess. 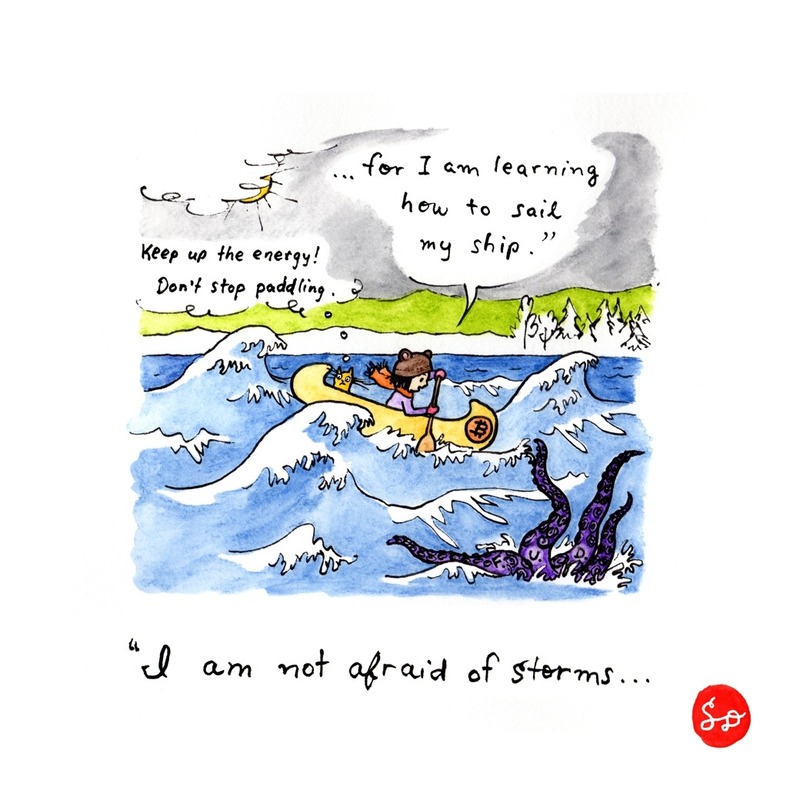 Stormy seas are ahead! I'm not anticipating a pain-free resolution to the current situation. Very early days yet ED. Give it time. The reality of the piss poor user experience on BTC, whether that be high fees on-chain, or the awkward complexity of LN (it really is a Rube Goldberg machine), where your transactions only have a probability of being successful, will come home to roost at some point. It's just whether users will become disenchanted by that, not realizing that there's an alternative bitcoin (the real one) that works flawlessly (today). I don't see a storm but a calm. Most that are already watching are likely speculators, enthusiasts or both. If one of these is to "really" succeed beyond price pumping it will be by gaining users who need a utility it provides. When (if) they come all these arguments that concern early people will be of little interest to these new people. they will want to earn/use it in their game or for cheap storing of some kind record or whatever. Which one the cryptosphere favors or believes or who propagandizes the best makes no difference except to those already watching and betting and I just don't see how we matter. If we did matter that would mean the path was looking backwards not forwards.